Glitter brushes are not mine, and sadly niether is Kingdom Hearts. As for the wallpaper it self, this took just about the entire day to complete (no joke!). I really like how Sora came out in this wallpaper. Good job. Donald Duck and Goofy in fighting mood :) Looks great! I also like colors and climate. Very good work! 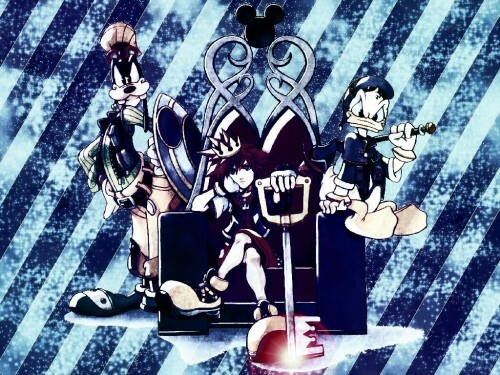 Really nice, where did you find the picture of Sora in the chair?